Falconer Electronics introduces its new line of premium magnetic work lights with this Magnet Mounted Spotlight. 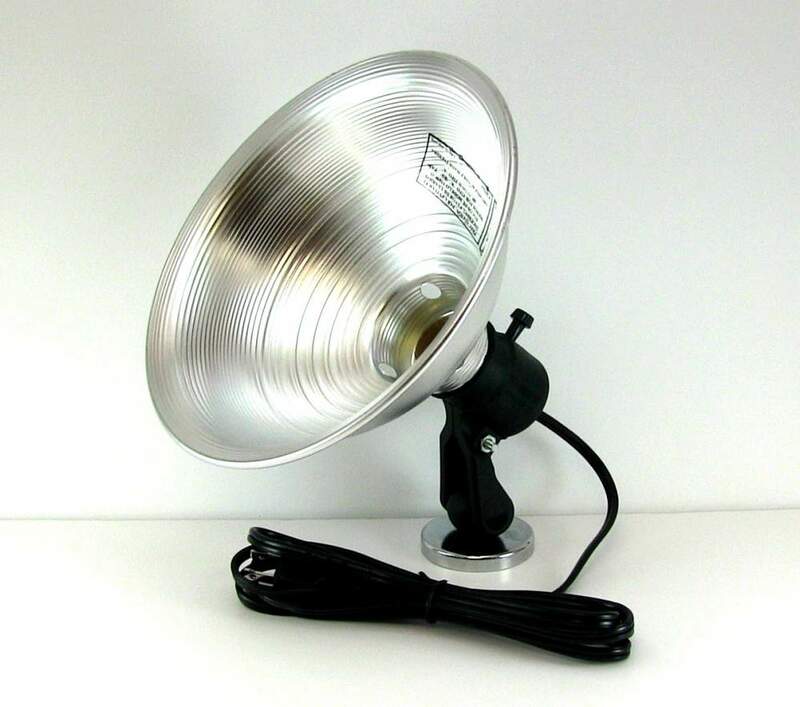 Protective Reflector: This magnetic work light is equipped with a 8″ metal reflector that permits targeted lighting as well as immediate bulb replacement (light bulb sold separately). 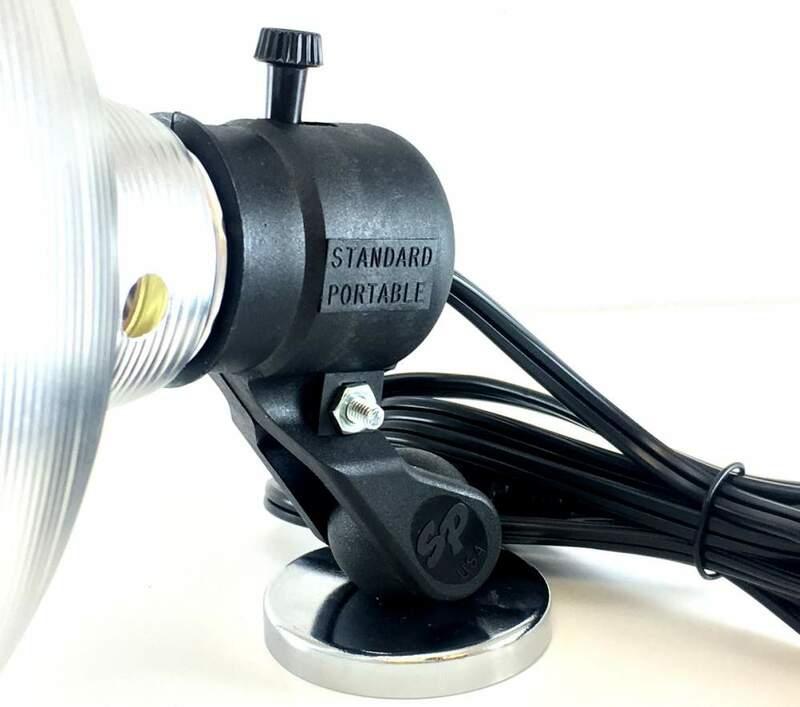 Power Cord: Powered with an 8 foot 18/2 SPT-2 black cord offering ample reach for work areas. 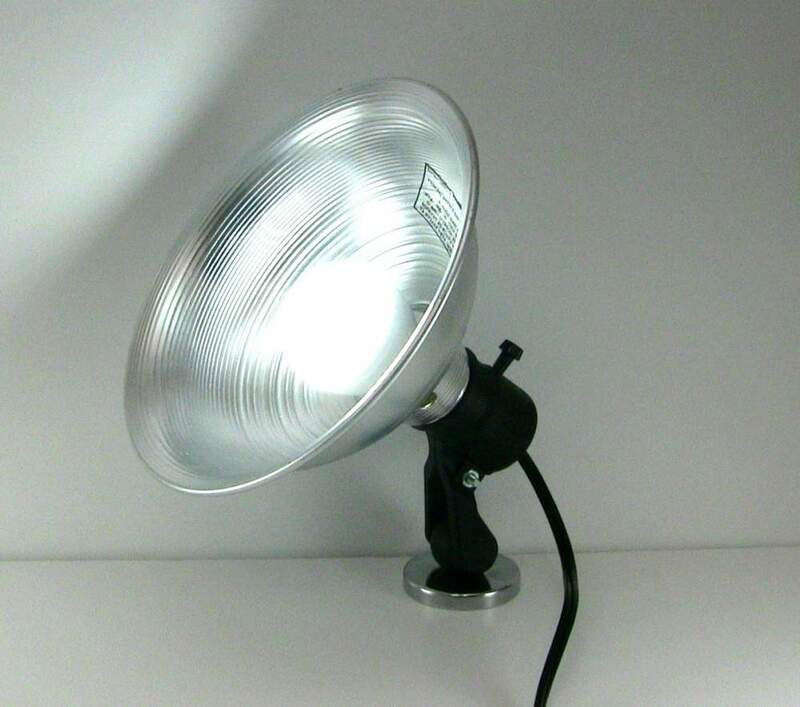 Falconer Electronics Signature Handle: The sturdy nylon handle clamps secure to the ball mounted magnet – allowing you 360 degree circular rotation with full pendulum tilt – providing necessary lighting on targeted areas. Convenient: Magnetic Spotlight measures only 9″ x 10″ allowing convenient storage occupying a minimum amount of space. 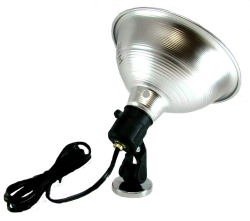 Weighing in at approximately 1 lb provides lightweight flexibility to place lighting in difficult areas that need additional lighting. Socket: UL listed gold lamp socket with on-off rotary switch.